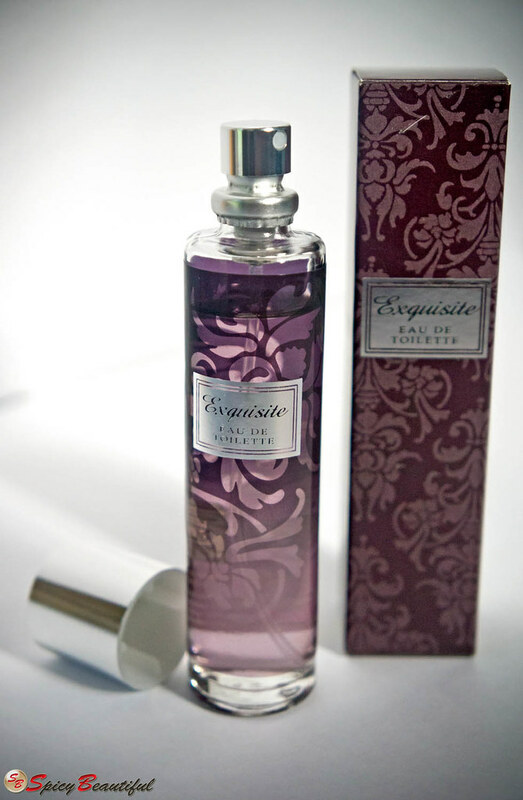 I tested Exquisite in store and immediately fell in love with its rich and resinous appeal. It starts off with a strong citrus bite accompanied by a sweet gourmand accord that smelled like tangy plum chocolate. I know it sounds weird because Exquisite does not hold any gourmand notes in it but the chocolatey essence smelled quite dominant for me. 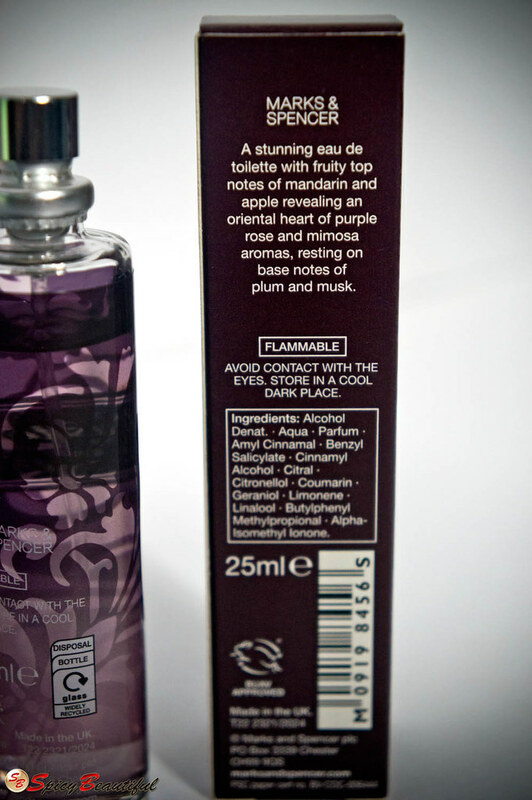 I guess it was the base notes of plum and musk trying to discipline the citric opening, which is a good thing since zesty and citrus notes tend to make me feel heady. The notes of rose and mimosa emerge after 15 minutes of wear making the fragrance composition more floral than fruity. 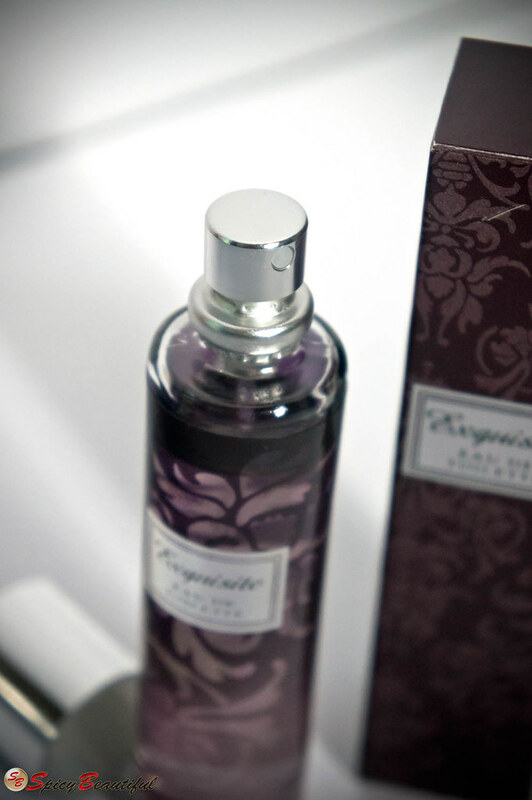 The sillage is intimate and the scent stays close to skin for 6 to 8 hours. For some reason, Exquisite reminds me of Amor Amor by Cacharel and I think it’s because both have a spiky mandarin note tamed by musk at the trail. Overall, Exquisite by Marks & Spencer is a very nice feminine fragrance that smells very invigorating and comforting at the same time. I love how it smells gourmand-esque without losing every bit of freshness found in the opening.